After a degree from Cambridge University in Modern Languages, Lucy Verity converted to Law, and trained in the City. She joined Hornby and Levy as a qualified solicitor in 1995 and became partner in 1999. 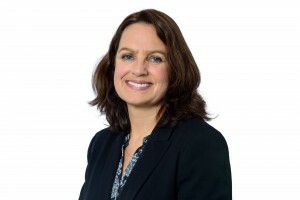 She became a director at Philcox Gray upon its merger with Hornby and Levy in April 2018. Lucy is a Resolution trained mediator, a Resolution accredited specialist in child abduction and private law children; and a member of the Law Society Children Panel. She has many years experience of acting for parents and children in complex care cases, as well as parents in private children and financial disputes, particularly on applications to relocate abroad. She is on the International Child Abduction and Contact Unit panel, and often acts for parents in child abduction cases. She speaks French, German and has a working knowledge of Italian, often acting in cases where there is a European element. Lucy has been a committee member of the Legal Aid Practitioners Group for over 10 years, and provides training on legal aid issues for family practitioners. She was the compliance officer for legal practice, the legal aid representative, and the partner with responsibility for Lexcel accreditation at Hornby and Levy until its merger with Philcox Gray.